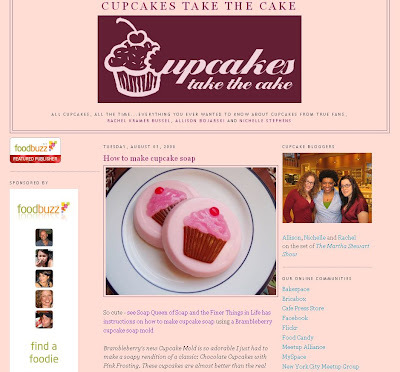 Thank you to Cupcakes Take the Cake Blog (one of my fave blogs) for the link love for our Cupcake Soap Project.We had quite the celebratory “Whoop’n’Holler!” session when we saw the recognition. Congratulations on the recognition! Great looking cupcakes! They look so yummy!